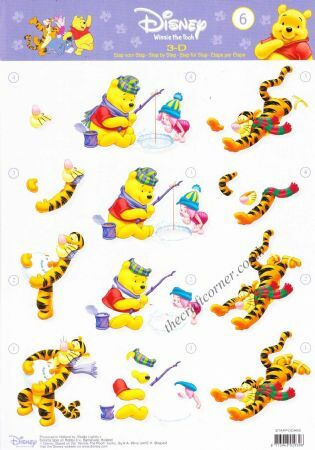 Perhaps the most famous bear of all. 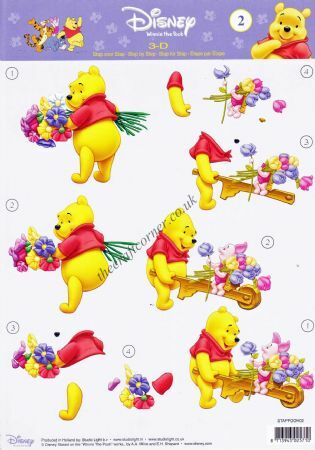 A A Milne's Winnie the Pooh is loved all over the world. 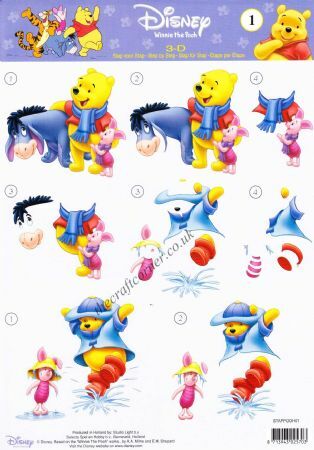 Walt Disney animated Winnie the Pooh and now you can create your own silly old bear with 3d decoupage sheets. 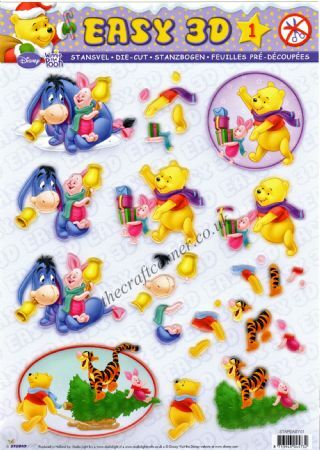 Winnie the Pooh 1 Winnie the Pooh, Piglet & Eeyore 3d Decoupage Sheet. 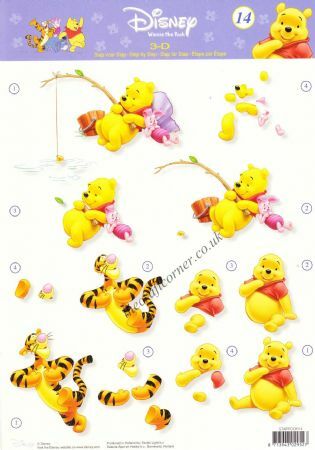 Winnie the Pooh 2 Winnie The Pooh & Piglet 3d Decoupage Sheet. 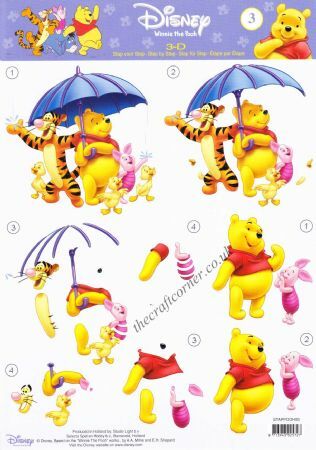 Winnie the Pooh 3 Winnie The Pooh & Friends In The Rain 3d Decoupage Sheet. 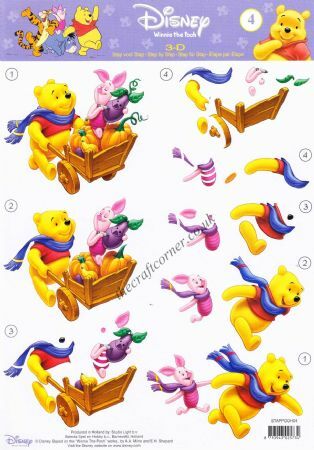 Winnie the Pooh 4 Winnie The Pooh & Piglet 3d Decoupage Sheet. 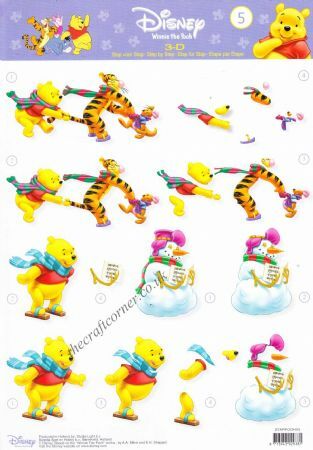 Winnie the Pooh 5 Winnie The Pooh & Friends Having Winter Fun 3d Decoupage Sheet. 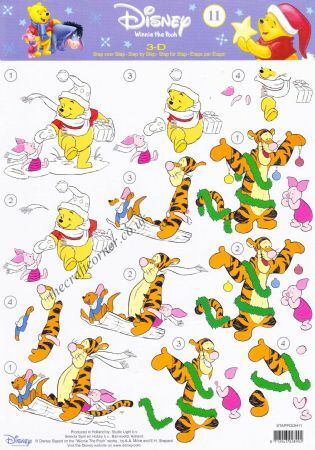 Winnie the Pooh 6 Winnie The Pooh & Tigger's Winter Fun 3d Decoupage Sheet. 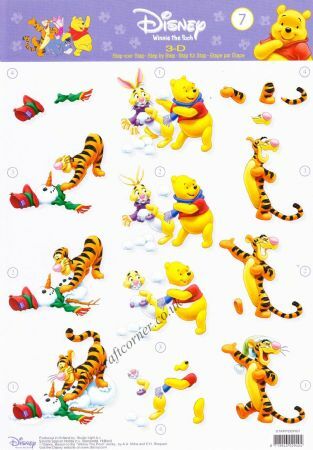 Winnie the Pooh 7 Winnie The Pooh, Tigger & Rabbit Snow Fun 3d Decoupage Sheet. 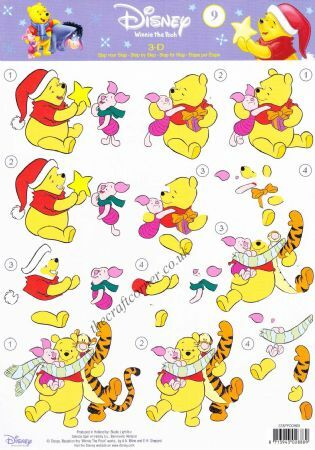 Winnie the Pooh 9 Christmas Fun with Winnie The Pooh, Piglet & Tigger 3d Decoupage Sheet. 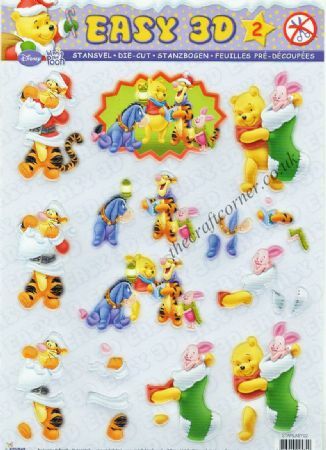 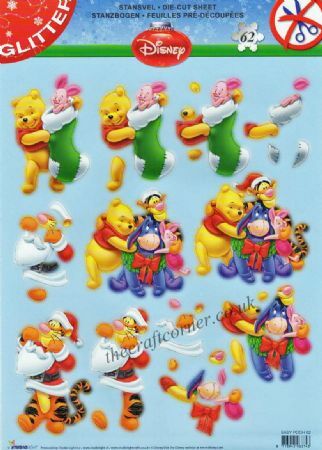 Winnie the Pooh 11 Winnie The Pooh, Tigger & Piglet at Christmas 3d Decoupage Sheet. 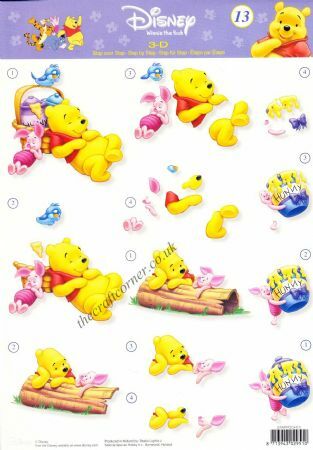 Winnie the Pooh 13 Winnie The Pooh and Piglet with Honey 3d Decoupage Sheet. 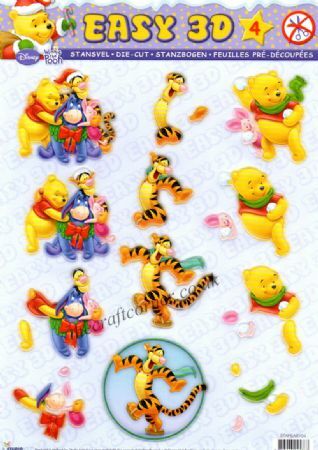 Winnie the Pooh 14 Winnie The Pooh, Piglet & Tigger 3d Decoupage Sheet.